This is a SCXD02003X200 (same as SCX20030)Digital System Changeover Track Section from TecniToys. 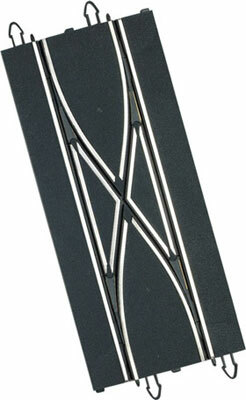 This is a SCXD02003X200 Digital System Changeover Track Section from TecniToys. Suitable for Ages 8 and Older. Equipped with digital power line. Molded gray with a realistic asphalt look. A new connecting system that provides quick and easy assembly. The SCX Digital System products are not compatible with the other SCX products. All SCX Digital System products are marked with a special X symbol to identify them and to distinguish them from other SCX products.